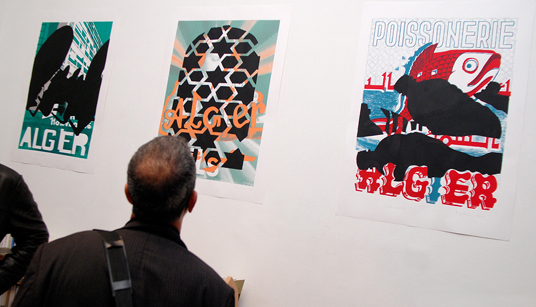 Solo show featured brilliant new screenprints. Above and Below: Images from Verena Gerlach’s recent exhibition in Algiers. This new body of work was developed after several visits by the Berlin based designer and involved an exhaustive creative process that has been thrilling to witness. Mabrouk, Verena! For more, please visit fraugerlach. 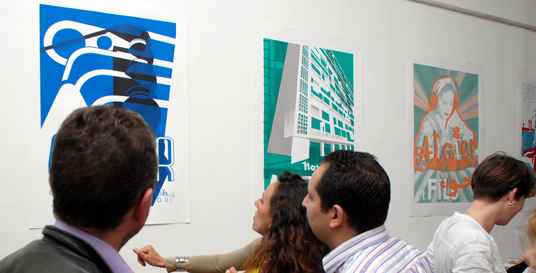 Verena Gerlach / Algiers: Solo show featured brilliant new screenprints. This entry was posted by Erik Brandt on Friday, April 23rd, 2010 at 9:32 AM	and is filed under Aktuell, Education, Geotypografika, Globalization, Graphic Design, International, Internet, News Links, Typografika, Typography.